Heading Your baby deserves the very best. Directions Change wet and soiled diapers promptly. Cleanse diaper area and allow skin to dry. Apply ointment liberally as often as necessary, with each diaper change, especially at bedtime or any time when exposure to wet diapers may be prolonged. 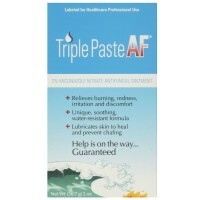 Uses Helps treat and prevent diaper rash. Protects chafed skin due to diaper rash and helps protect from wetness. 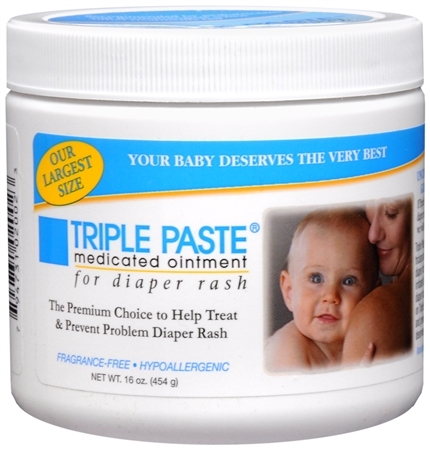 Triple Paste is recommended by thousands of pediatricians and dermatologists for distressing, difficult diaper rash. 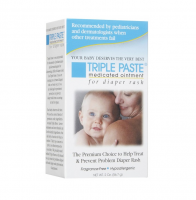 Use Triple Paste if you are treating raw, irritated diaper rash, or if our are looking to prevent diaper rash from occurring in the first place. 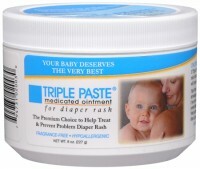 Count on Triple Paste as the premium ointment for treating and preventing diaper rash. After all, your baby deserves on the very best. Fragrance free. Hypoallergenic. Warnings For external use only. When using this product do not get into eyes. Stop use and ask a doctor if condition worsens or does not improve within 7 days. Keep out of reach of children. If swallowed, get medical help or contact a Poison Control Center right away.